Did you know that over 90 per cent of trampolines sold in Australia are imported from overseas? 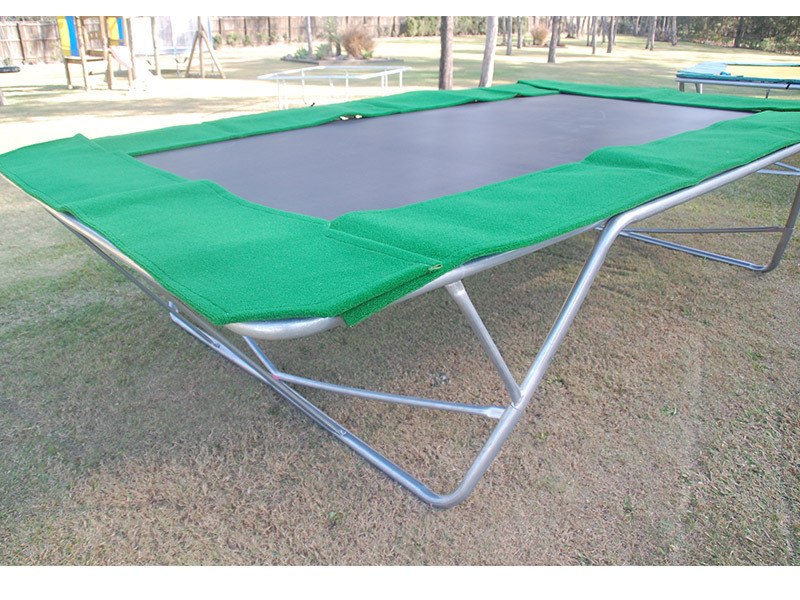 Imported trampolines can be of lesser quality then Aussie-Made and as a result have a shorter lifetime. Why pay top dollar for an imported trampoline when you can buy our Aussie-Made quality trampolines. We manufacture our own large Rectangle models. Imported products may come at a cheaper price but there are other factors to consider when buying your family a trampoline. Are you after a quality trampoline? Do you want a trampoline to last your kids for summer holidays after summer holidays, year after year? Are you wanting a higher more controlled bounce? Do you want to avoid having to replace your trampoline parts as often? If you have any questions at all about what trampoline is right for you please feel free to contact our team today.